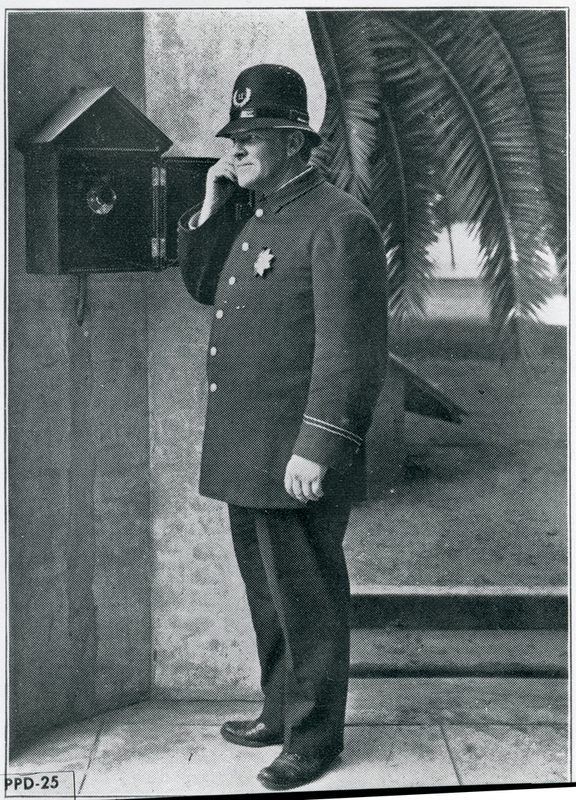 Police Officer Clarence Peck succumbed to an accidental gunshot wound sustained three days earlier in front of 156 North Broadway (North Arroyo Parkway). He and another officer had responded to a domestic disturbance at a home and discovered several small rags had been set on fire. The other officer was attempting to open a fire hydrant when his revolver fell from its holster and discharged. The round went through the officer's leg and struck Officer Peck, lodging in his lung. 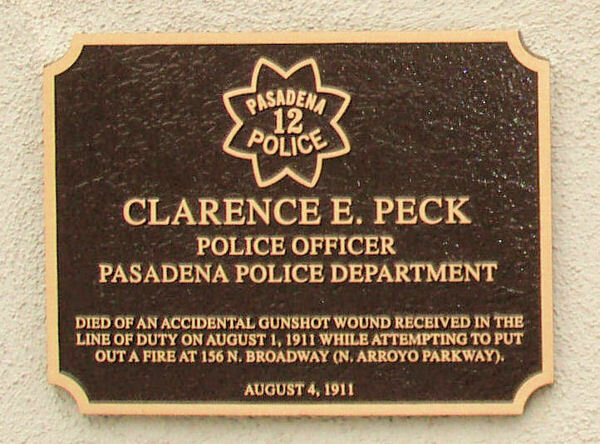 Officer Peck was taken to Pasadena Hospital where he succumbed to the wound three days later. Officer Peck was survived by his wife and young son. 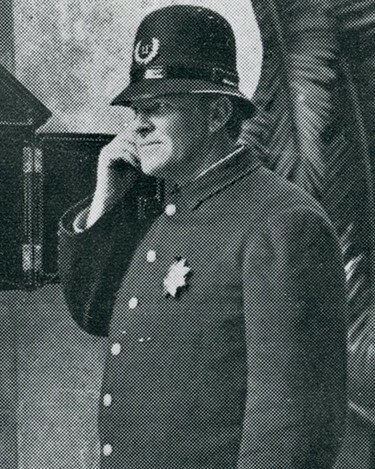 On today, the 107th anniversary of your death I would just like to say thank you for your service and sacrifice for the citizens of Pasadena.